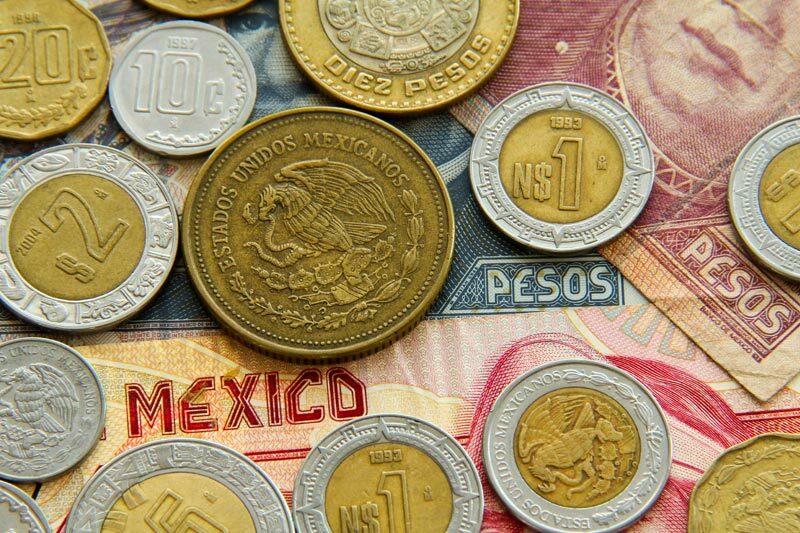 (Bloomberg) — Mexico increased borrowing costs for the second time this year as higher U.S. interest rates, global trade tensions and the July 1 presidential election have battered the country’s peso, posing a risk to inflation. The currency strengthened on the decision. Policy makers, led by bank Governor Alejandro Diaz de Leon raised the key interest rate a quarter-point to 7.75 percent, matching the forecast of 18 of 25 economists surveyed by Bloomberg. Six analysts expected no change in policy while one saw a half-point hike. Central banks across the globe are inching toward tighter policy after years of extraordinary stimulus. Mexico’s decision came a week since the Federal Reserve raised rates for a second time this year and hours after the Bank of England left the door open for a rate increase in August. Mexico’s move Thursday was unanimous and came with a pledge by the central bank board to continue its prudent monetary policy. The decision also comes as President Donald Trump threatens to tear up the North American Free Trade Agreement and as leftist Andres Manuel Lopez Obrador appears poised to win the July 1 presidential election. The peso strengthened on the rate hike, rising 0.6 percent to 20.2325 per dollar. Since mid-April the peso has been the worst performer among major currencies, declining 11 percent, even after rebounding slightly this week. The board said in its decision that the balance of risks to inflation has worsened, while the outlook for growth remains to the downside. The bank is concerned that inflation is being hit by several shocks and convergence to target is compromised, Oviedo said before the decision, adding that peso weakness will likely keep inflation very close to 4 percent for the rest of 2018. The central bank targets inflation at 3 percent. While the consumer price index has been falling steadily from a 16-year high reached at the end of December, some economists don’t see it slowing to target as soon as previously expected. Inflation missed analysts’ expectations in May when it slowed to 4.51 percent compared to the 4.46 percent forecast in a Bloomberg survey. Adding more pressure are new U.S. tariffs on steel and aluminum, which Moody’s Investors Service says could delay inflation’s return to 3 percent by a couple of months. The biggest risk to the peso, and therefore inflation, is Nafta. The currency has been in a free-fall since a Nafta deadline was missed in May, and continued to sink as the Trump administration threatened to impose sweeping new tariffs on imported automobiles. The peso kept depreciating after steel tariffs took effect in June, and economists began reversing their forecasts for rate cuts to a hike in Mexico. Now, Mexican and Canadian negotiators say they expect to pick up talks again in July, after Mexico goes to the polls. Lopez Obrador’s gains in the polls have also roiled the currency. He’s pledged to boost spending on social programs, while failing to fully convince investors he’ll have the savings to do so. He’s also clashed with business groups after generating uncertainty about the future of private oil drilling in Mexico and a $13 billion new airport project.